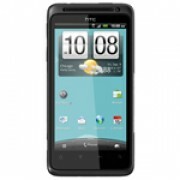 Unlock HTC Hero S - Safe IMEI Unlocking Codes for You! Unlock HTC Hero S Handset! In case your Hero S doesn't ask for the code and there is no designated field to enter it, please DON'T PLACE ANY ORDER, contact us first for support. Are you looking to unlock your HTC Hero S smart phone? Do you want to start using it with Any SIM card? If yes, SafeUnlockCode can do that for you now! The process is easy and 100% Guaranteed to unlock your device! Check out here All Devices we Can Unlock Now! Before placing an order for an unlock code for your HTC Hero S please make sure you send us the correct information! How to Unlock HTC Hero S Phone - Tutorial! When you receive the code, all you need to do is to insert another SIM card into your phone and wait for your smart phone to read “Enter unlock code” or “Pin Network Unlock Code”. Can you help with my HTC Hero S smart phone? Hi Jose, Yes, we should be able to help you to sim free your handset. Please use the form for more details. Thank you!